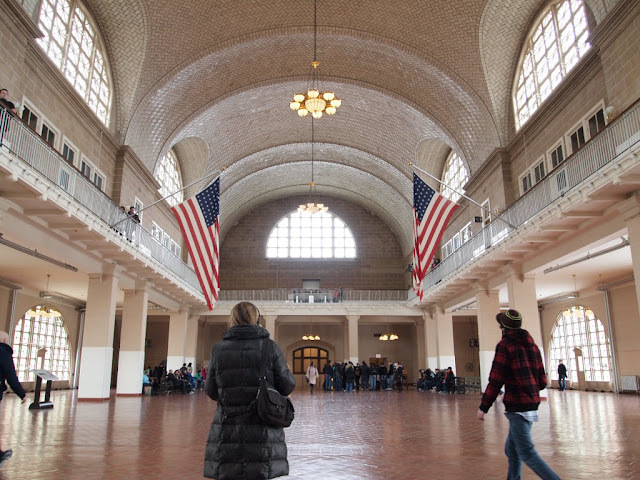 The Great Hall of the immigration station in Ellis Island, in New York. Immigrants entering the United States through New York from 1892 to 1954 were processed in the Great Hall. There was a scene in The Godfather II where the main protagonist, Don Vito Corleone, was held as an immigrant boy in this hall.